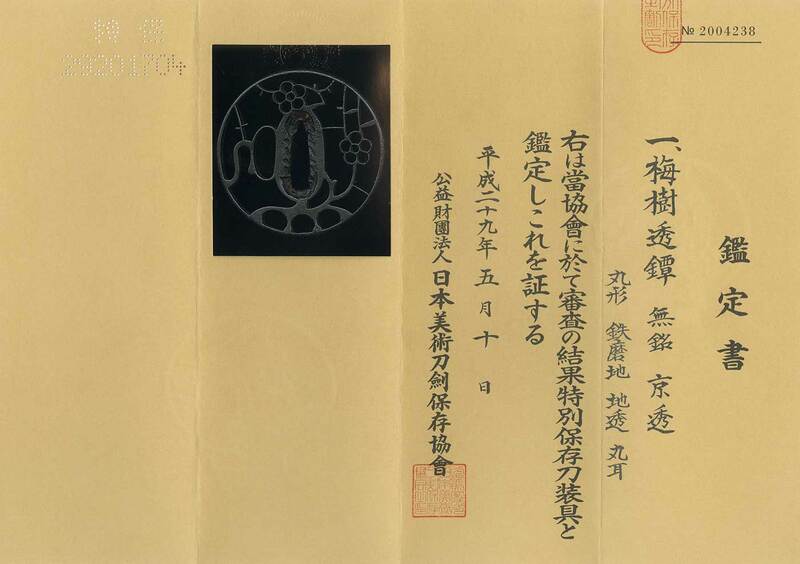 Jidai(era) : Late Muromachi to early Azuchi Momoyama era. and round mimi blackish purple color. The designe is typical Kyo sukashi elegant nice design. I think the design looks like Ume flower and tree. Kyo sukashi Tsuba started from early muromachi to early Edo period. to Azuchi momoyama old nice iron color Tsuba.